Wine tasting at Campbells is a special occasion. Held in the heart of the cellars where visitors can taste our hand crafted wines from fine Riedel glassware. 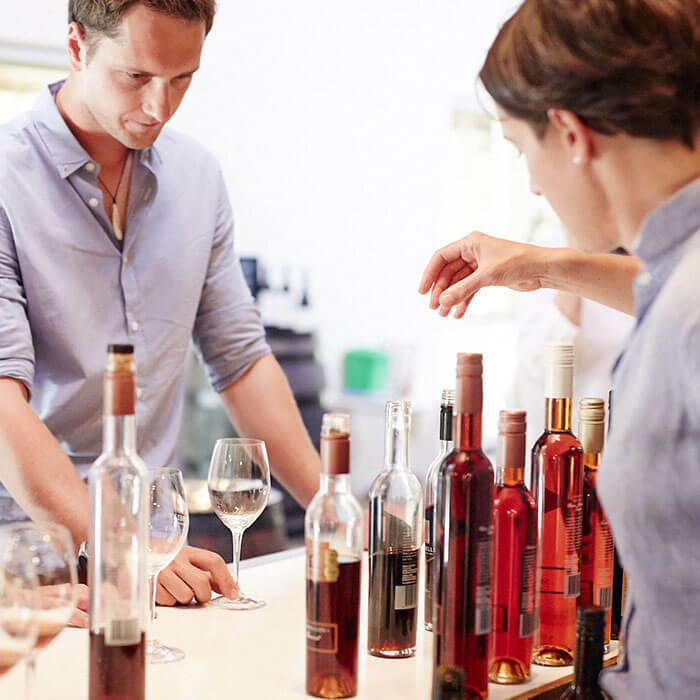 There is an ever changing selection from our traditional varieties to new varietals plus a rare opportunity to taste wines from our ‘Back Vintage Wines Collection’. Of course the perfect way to finish your tasting is with our muscats and topaques for which Rutherglen is renowned the world over. Visitors are welcome to explore the century old cellars, take a stroll down ‘muscat mews’ lined with century old giant casks. This is the soul of Campbells Wines and a testament to the family’s long and proud history. Take a self guided tour, discover the Campbells history and learn about the art of winemaking. Stop and relax under the shady oaks overlooking the Bobbie Burns Vineyard. Enjoy a Vineyard Platter. Take a seat in our Bobbie Burns Room for one of our guided wine tasting experiences. 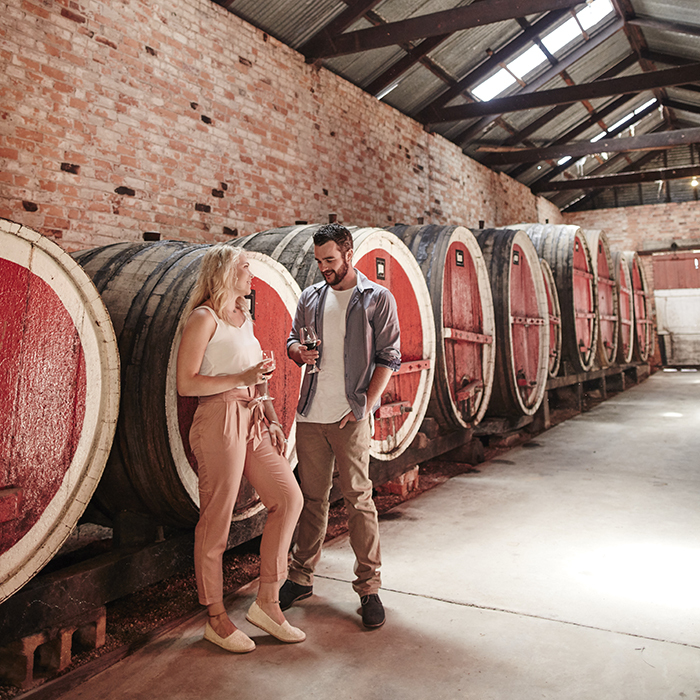 We have an exciting calendar of events, dinners and tastings held throughout the year, so if planning a visit to Rutherglen please be sure to visit our events page to see what is happening at the winery. There is much to see and do, so come spend some time with us, and share a glass of wine. We look forward to welcoming you to our ‘home’ soon.